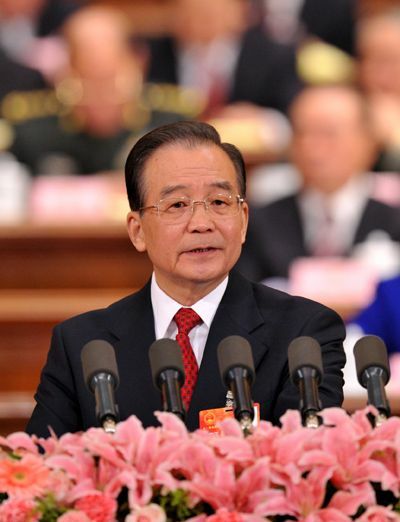 Chinese Premier Wen Jiabao vowed Saturday to crack down harder on corruption, especially in key areas, to build a clean government. "We will act more quickly to solve serious problems in combating corruption and promoting clean government," Wen told deputies to the National People's Congress, which convened its annual session Saturday. He said that anti-corruption efforts will focus in key areas, such as construction, sale of land use rights, exploitation of mineral resources, trading of stated-owed property rights and government procurement. The government will firmly implement the system whereby government officials regularly report their incomes, properties and investment as well as what their spouses and children do and whether they have live abroad, he said. Two sessions cease to be "rubber stamp"
Why worry about China's nuke? Are best days behind US? Where Huawei went wrong in America? Will 'Chindia' rule the world in 2050, or America?